We seek energetic and innovative teacher-scholars, committed to excellence in both teaching and research to join our dedicated and growing family of faculty members. Our particular emphasis in this search focus on two main areas, i) computer engineering (broadly including computer architecture, embedded systems, internet of things, low power design, computing security, high performance and distributed computing, etc.) and ii) power and control systems (such as smart / microgrid, renewable energy, power electronics, control systems, etc. ), though candidates with exceptional credentials and promising research agenda in other areas will also be considered. For details, please see full position announcement. Applications are only accepted online at this site. Adjunct positions are also available in all areas of electrical and computer engineering. To apply for an adjunct position, please ECE Adjunct Faculty Application page. This award is given to individual(s) or department(s) that has (have) created, implemented, and sustained the implementation of a successful innovative program and possibly assisted in the implementation of that program at other institutions. A successful program is one that has stood the test of time (i.e., formal integration into a program of study) and has produced measurable improvements in the quality of the electrical and computer education received by a significant number of students at one or more institutions. The award was presented during ECEDHA's annual conference and ECE Expo in March 2018. We are truly honored by this recognition, as it is made by the Department Heads of other ECE Departments across the nation. Rowan ECE is pleased to announce new Ph.D. fellowships in artificial intelligence (AI) and machine learning (ML), supported by the US Dept. of Education's Graduate Assistance in Areas of National Need (GAANN) program. These fellowships come with a very generous $34,000/year stipend, full tuition and fee waiver, as well as travel support to attend and present at technical conferences. Students with i) Bachelors or Master’s degrees in engineering or a related discipline, ii) an interest in data analytics, machine learning or artificial intelligence, and iii) a desire to conduct cutting-edge research in a variety of disciplines that can benefit from AI/ML, are encouraged to apply. The program will formally begin in Spring 2019 and open to qualified US persons. For additional information, see our GAANN Fellow Brochure and send an e-mail to prepare.ai.gaann@rowan.edu. For expedited processing, attach your CV and a cover letter describing your background and research interests. We have moved to our brand new home. Click for more information and a photo gallery. 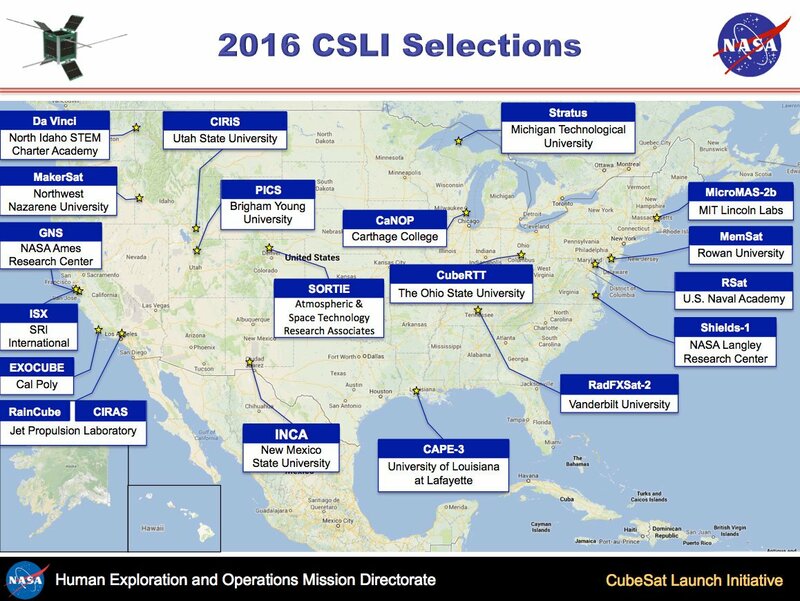 Rowan ECE team is one of twenty nationwide selected by NASA to design, develop, and build a cube satellite (CubeSat) that will be placed into orbit. The Rowan satellite, named “MemSat,” short for memristor satellite, will carry a memristor evaluation payload to compare the performance of the emerging memristor-based memory to the traditional silicon-based memory in the harsh space environment. Announcement from NASA can be found here. After three successful events, the last of which drew over 200 hackers of all levels, ProfHacks is back! Expect lots of fun, lots of food, lots of coffee and ... and very, very little sleep! Registration is officially open to all hackers. Make sure to spread the word to all your friends, and join us for 24 hours of fun, food, prizes, and of course, hacking! 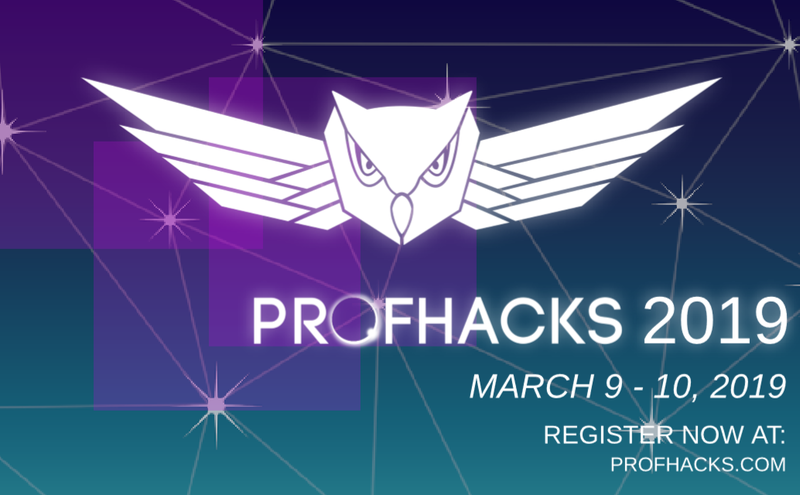 ProfHacks 2019 is on March 9 and 10, 2019. FOr additional information and registration go to https://profhacks.com/. 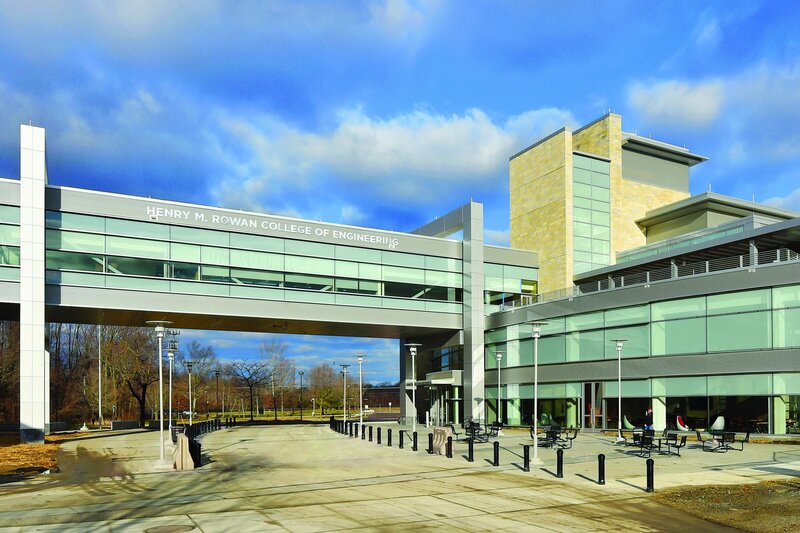 As we hit the 25-year mark of the Rowan Gift that established College of Engineering and transformed this institution, we remember where we came from and look forward to where we are going. 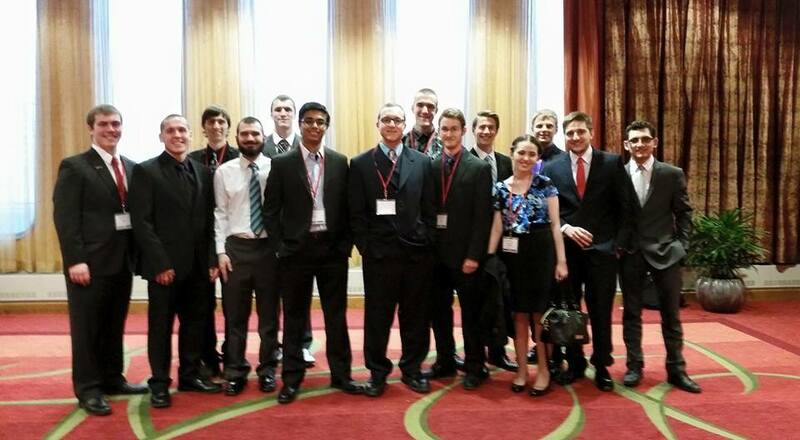 The Rowan IEEE Student Branch collaborates with other regional universities on a variety of projects and competitions.